1) Newport Bacon, Bourbon & Brew Festival – You had us at bacon, but why stop there? Check the first thing off this bucket list THIS WEEKEND and attend this festival. Guaranteed taste bud happiness. 2) LIVE at the Levee – Pick a Thursday night and stop by Newport on the Levee for some live entertainment. Fresh air, fabulous views of the river, and great music make this a fun night out for anyone. 3) Screaming Raptor Zip Lines and Canopy Tours – Strap in for a high-in-the-air adventure. Fun for all ages that will have your heart racing with excitement! 4) Farmer’s Market – From a Northern Kentucky farm straight to your table! Relax and enjoy the Covington Farmer’s Market, where you will find homegrown veggies, fresh made breads, and other local delights. 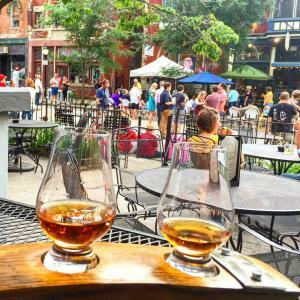 5) Booze and Ice Cream – Whether you are craving an ice cream-flavored beer, or a booze-flavored ice cream, local favorites Graeter&apos;s and Braxton Brew can help you out! 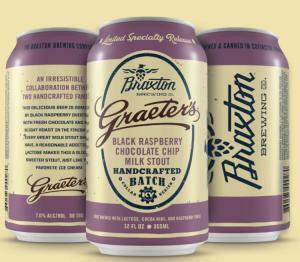 Look for the Braxton Raspberry Chocolate Chip Stout and stop by a local Graeter&apos;s store to try the Bourbon Pecan Chocolate Chip. YUM! Now that you have the list, there’s no stopping you from checking off these five things and so many more! Be sure to use #meetnky so we can share in your adventures.